October has been a busy month so far. It seems like the calendar just melts away once we get to September, doesn’t it? I’ve been up to plenty this month. I spent the first weekend of the month in San Jose, having a great time with friends and family. Since then, I’ve been writing up a storm. Think about it: if all you’re doing is tweeting your Instagram photos and Facebooking your Pinterest boards, you’re not really getting anywhere. Think of a blog like a central hub; social media serves as the planes, trains, and automobiles that get readers to your building. If you only send members to content in other places, no one has a reason to visit you. We’ve all seen the social media fails resulting in fired employees. Obviously, cussing out the boss or posting pictures that would make grandma blush is a bad idea. But if you use it correctly, social media can be your stepping stone to a new (or better) job. And while I’m on the topic of social media and financial organizations, brass Media’s third webinar is next week! Kayla Byers and I will be talking about how important Twitter can be for financial institutions, and different ways to use it. I’ve also been taking a free online course from Google on how to use Analytics. Sign up and take it at your own leisure if you’re looking for some in-depth information on using Google Analytics. Also, if you’d really like a special certificate when you pass! I got mine today! 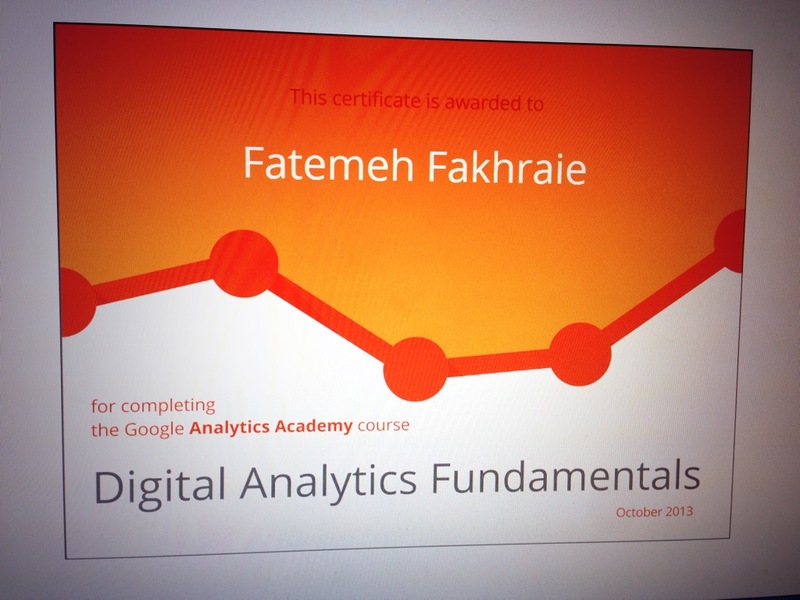 Posted in Articles + Talks and tagged blogging, blogging for credit unions, Google Analytics Academy, job hunt, social media, using social media to get a job on October 25, 2013 by Fatemeh Fakhraie.